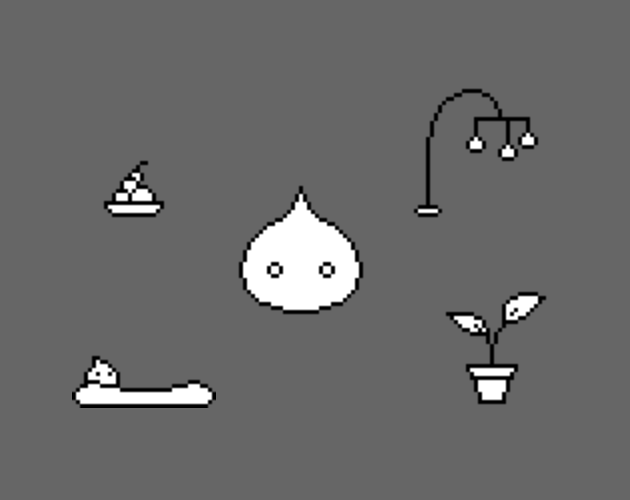 The slime pet's mood is constantly shifting. It chooses where to go, and what to interact with, based on balancing its mood. 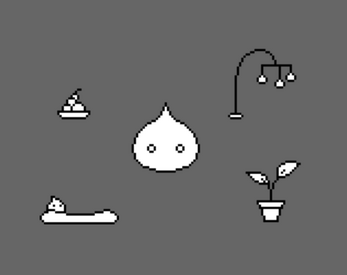 There's no interaction as of yet - slime pet is a self-sufficient, easy-care companion, enjoyable to watch simply wander around its little world.